First Semester German is designed for beginning students who have had no previous instruction in German and for those interested in a refresher course. The course begins with a lesson on German pronunciation and continues with instruction on reading, listening, grammar, vocabulary building, and Germanic cultural traditions. 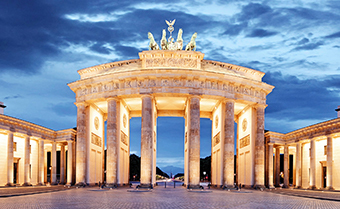 Through the use of a variety of audio and visual materials you will learn to read simple German texts, hear and understand spoken German, and communicate in everyday living situations. By the end of this course and Second Semester German you will have learned the basic survival skills necessary for communicating effectively in any German-speaking country.